This photo is thought to be from around 1981 having spoken to staff. P. Anderson was a peripetetic Art teacher. 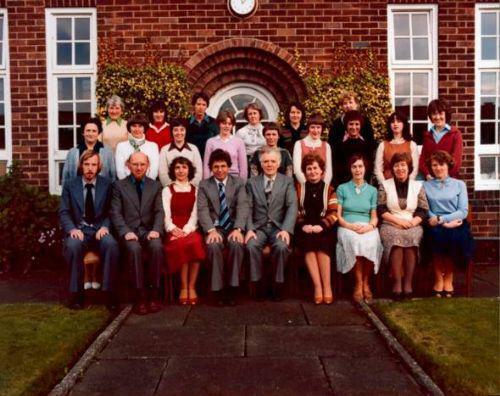 The lady second from right in the middle row whose surname no one can provide was a classroom assistant. If you can help please email us.